ME (Chem & Mats), Dip Dairy Sci. and Tech. 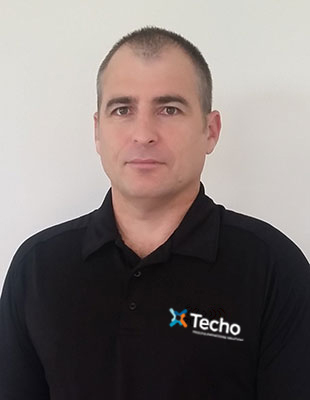 As the Managing Director of Techo Ltd, I am responsible for the overall direction of the company. Often I will become involved in engineering projects as this is my passion. Outside of work I love to fish, dive and snow ski as well as spend as much time as possible with my young family. As a family we love to travel and explore new places. I completed my NZCE Mechanical / with control systems in the 80's. I then spent several years with Nu-Con building and commissioning projects around the world, including 1 year in the USA. I specialised in automation projects from the mid 90's to mid 00's, working on Dryer 5 Te Rapa (Fonterra), Dryer 2 Clandyboye (Fonterra), Lichfield Whey plant (Fonterra) and Heinz Watties kitchens to name a few. During this time I owned a Super Critical CO2 plant and worked on various research projects. In 2007 I became a partner in Techo Ltd.
During my time at Techo we have completed many challenging projects. I value having a complementary range of skilled people within the Techo team who are capable of solving every challenge thrown at them. I especially value the relationships we have fostered with suppliers and contractors throughout the country, the result of which means we can call on many highly qualified and proficient people and companies, to support us with the projects we are working on. I have had the pleasure of working in depth on a number of Fonterra sites and continue to enjoy commissioning projects with Fonterra's site teams. My wife and I have a young daughter, two teenage boys who are attending Hamilton Boys High and two adult daughters, all of whom I try to give as much time as possible. I love watching the boys rugby and athletics and we enjoy time at the beach over summer. I also like to ride my dirt bike when possible. What I love about Techo is our focus on quality engineering and quality projects and, with our wide array of skills, no two days are the same. We are small enough to react and tailor solutions but large enough to deliver a quality product repeatedly. No cookie cutters solutions here, we take time to develop a relationship and understand our client's needs before offering the "most correct solution". I live in Auckland, with my wife, three daughters and (female) dog. Sucker for punishment... When I'm in Auckland there is always a netball game, hockey game, ballet show, gymnastics competition, swimming competition, or the myriad of trainings all over the city to ferry kids to or watch. In between time I enjoy family camping in the summer time and snow skiing in the winter. For quiet time I take the dog out for a run most mornings. I serve on the committee of the Eastern Suburbs Gymnastics Club and head up the subcommittee for building a new gym. My role as construction manager is to oversee the construction and installation works on various projects. This role usually requires being based on-site for the duration of projects and includes management of subcontractors and suppliers, and working closely with clients to deliver a safe, high quality project. 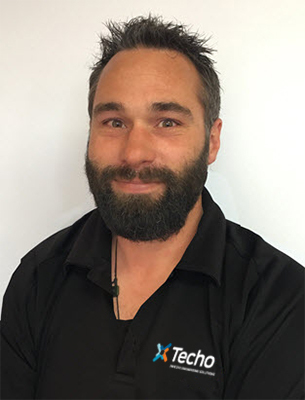 Prior to working with Techo I completed my trade as a Fabricator Welder which led to working on a large number of dairy, food and beverage and industrial projects around New Zealand. When I'm not working I enjoy spending time with my wife and two young girls and riding trail bikes. 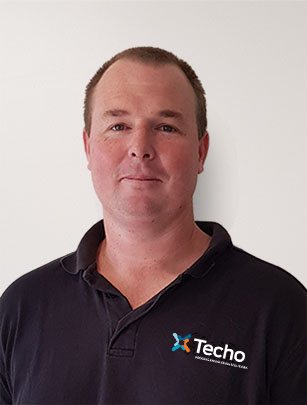 Prior to joining Techo I had 20 years of dairy industry experience with Fonterra and legacy companies in various manufacturing and process technical support roles. My areas of expertise include milk treatment, milk powder, casein, membrane and CIP processes. I am focused on bringing resources together to deliver top quality solutions that our clients can be proud of and that are operator friendly. When I'm not working I enjoy off road motorcycling, mountain biking and surfing in my spare time. 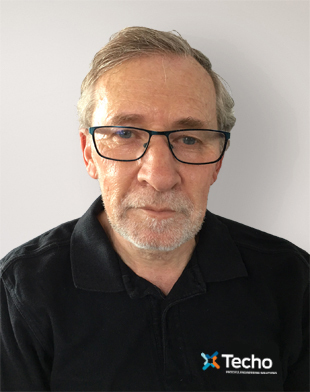 I specialise in project design, equipment procurement, and project management and regularly work across the full scope of a project, from scoping, costing and conceptual design works, through to budget development, detailed designs and project implementation and development. Prior to coming to Techo I worked on industrial plant process control and automation in the Bay of Plenty area. I have worked at most Fonterra sites over the years, including one year spent at the Reporoa plant (which processes enough milk a day to make more than eight million flat whites!!) and another spent at the Hautapu plant, the plant responsible for making "pink gold" a.k.a lactoferrin, which is used in yoghurts, infant formula and health products. I was born and bred in Tauranga and am now based in Papamoa. I have two teenage sons, both of whom attend Mount Maunganui College. We are all keen on mountain biking which is handy seeing as we live in such close proximity to some of the region's best mountain biking trails. I am also a keen motorbike rider and I split my riding time between my trials bike and my adventure bike. I joined Techo in November 2014. Prior to this I did some practical work experience in IT and with Fonterra. I project manage smaller projects and assist senior staff on larger projects when required. I enjoy being involved in the automation and process engineering aspects of a project, with a focus on the details. When not at work I enjoy running, playing squash, swimming, going to the gym, chess and computer games. I have worked in a wide variety of industries in New Zealand, the U.K. and Japan. 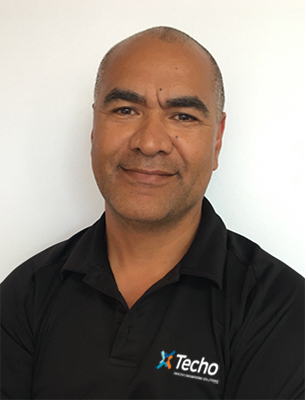 This has included working as a fire protection draughtsman designing sprinkler systems for the Aotea Centre and as a site manager for a factory being built for Toyota Motors in the UK, and more recently selling enterprise level software solutions to large corporates and government organisations. My role at Techo is to standardise and embed systems that will enhance visibility and increase efficiencies across the business. Managing Health & Safety is also a core part of my role. Outside of work I try to ride my dirt bike most weekends and go kite-surfing when I can. I have a Master of Chemical Engineering degree from Auckland University. My 25 years work experience include Refrigeration Contracts Engineer (2 yr), Chemical Plant Supervisor (4yr), Water & Process Chemical Sales (18yr). In late 2017 I joined the Techo team. My wife and I have one daughter and we reside in the mighty Waikato. Interests include golf, walking (definitely not running), fishing and I'm an avid sports fan especially when the AB's, Black Caps or Chiefs are involved. I attended Massey University and completed a Bachelor of Technology degree in Food Technology, specialising in Food Engineering. 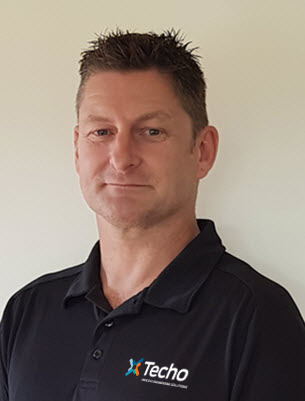 I have extensive experience in the dairy industry including evaporation, pasteurisation, membrane technology and CIP, having been involved as a project/process engineer in large to small projects around the country over the last 25 years. I've also spent over 9 years living and working in Singapore servicing the process engineering throughout South East Asia and China. I mostly worked in the fruit juice industry, beverage industry and sauce manufacture. Born and bred in Auckland, and now based in Auckland with my wife and teenage daughter. Outside of work I'm a regular tennis player, mountain biker and sometime snow skier. 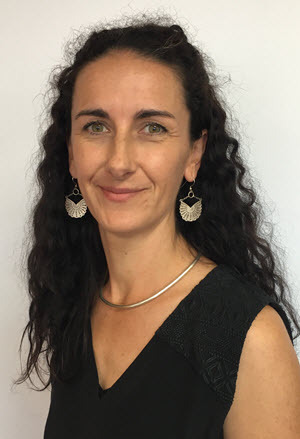 After graduating with a Bachelor of Management Studies (first-class honours) from the University of Waikato I started my career as an auditor for Deloitte. Whilst there I added chartered accountancy to my qualifications. 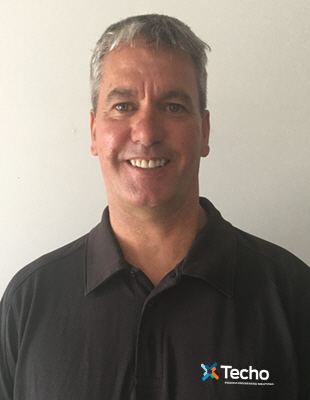 Moving to Auckland in 2001, I further developed my experience in business, commercial and financial management. My career has involved financial control and reporting, business performance optimisation, business strategy, business process modelling, change management, systems improvement and integration. In my spare time I like to do anything on the snow or on/in the water. Oh, and have the odd glass of wine. 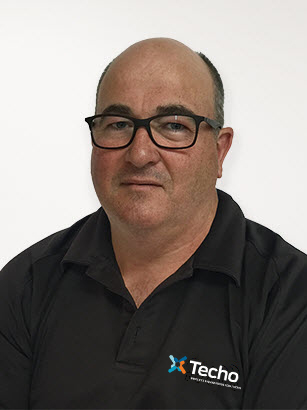 I started out my working career with an electrical apprenticeship, working my way up to a Controls System Engineer within the New Zealand Dairy Industry. I was offered the challenge of moving into a project management role which has been my career focus for the last twenty years. I have worked in Dairy, Power, Mining, Oil & Gas and Heavy Civil Infrastructure Industries both in New Zealand and in Australia. My specialist areas within project management are complex project/programme planning with Primavera, Earned Value Management, Forensic Delay Analysis and Project Controls. I enjoy the challenges each new project brings around meeting expectations of both client and commercial partners. Out of work I enjoy golf, trail riding, good food, friends and company. 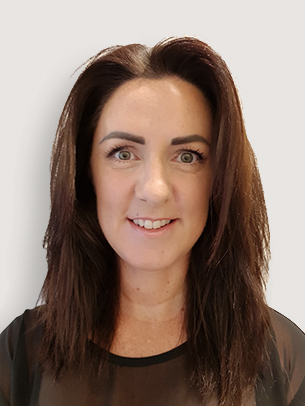 I am the Accounts Manager (payable and receivable) at Techo, as well as being the Office Manager at the Auckland office. Previously I have worked within the Jewellery Manufacturing Industry in both a Manufacturing and Office/Accounts roles. My experience in different aspects of the working/business processes has given me the ability to adapt to the varied requirements of my roles in Techo. My spare time is spent out at the beach or in the bush with my husband, 2 young girls and the family dogs. In my role as Site Supervisor at Techo my aim is to achieve the goals that are set out in the design stage by delivering projects to a very high standard. I have been part of the Techo team since 2013, but prior to this I worked for Techo on and off on a contract basis for around 10 years. Since gaining my trade cert in light fabrication in 2007 I have built a wide range of things, including stainless steel tanks, conveyors, awkward sheet metal shapes, cars, trailers, rail systems to support meat works operations, which included setting up plants to an operating standard, and more. My focus in working with Techo in the dairy industry is to improve the process and production systems of Fonterra and other high food grade standard clients around the country. Finding solutions to tricky problems is a key part of my role and means that no two days are ever the same. In my spare time I like to work on cars, develop my property in Hamilton and ride my dirt bike. 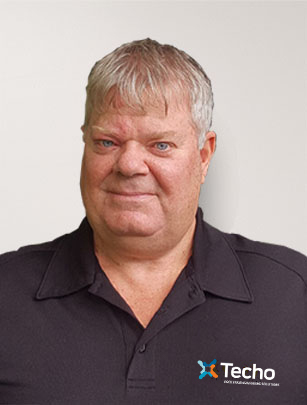 I have over 45 years experience in engineering drafting (both Manual & CAD) and have worked in the Pulp & Paper, Food, Dairy, Meat processing, Mining, Industrial Chemicals, and Materials Handling industries. Overseas experience includes working in the USA, UK, Australia and Indonesia. Responsibilities have included CAD Draughting, CAD management, marketing support, digital presentations, site supervision, material specifications, purchase requisitions, documentation, QA manuals & systems, proposals and tenders, and project and resource planning. Here at Techo I am responsible for producing 2D & 3D drawings for the full range of projects that Techo delivers. This includes producing Piping & Instrument Diagrams, Site Equipment Plans, Plant & Piping Layouts, Silo & Tank Details and Platform Design & Details. My other interests are CAD and graphic Design, freehand drawing, motorcycles, carpentry, music, reading and soccer.